Well carved triangular flat nose and two pierced almond shaped eyes, lips in raised relief, well formed.. Condition: Excellent, but the attachment holes have been eroded away at sides. Size: 8-3/4 inches (22.2cm) H. + custom mount. 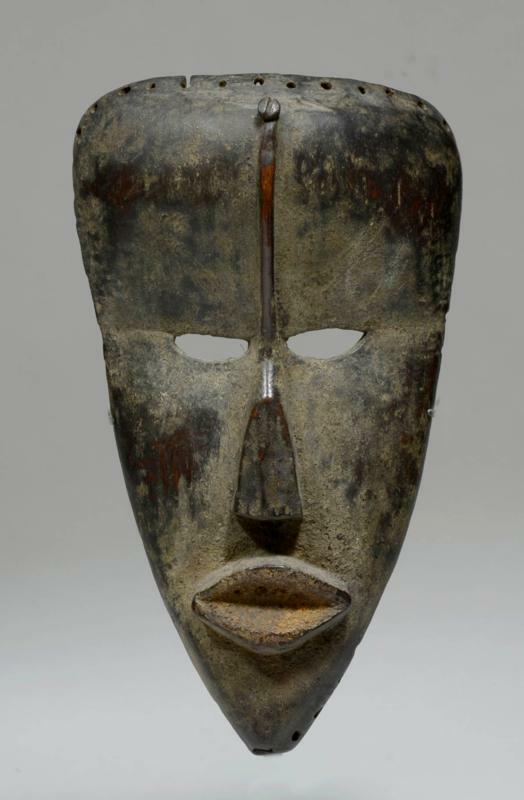 Collected in eastern Liberia by Hayden and Odette Walling in the 1950s. The Wallings were friends of Dr. George Harley, an early chronicler of Dan material. Good dark varied brown patina. Sweet in person.